Edenhope may not have diving in Lake Wallace with the 10 years of drought to 2009 - but that's never stopped the town from providing a great amenity to travelers from Melbourne to Adelaide looking for some interesting things to do. 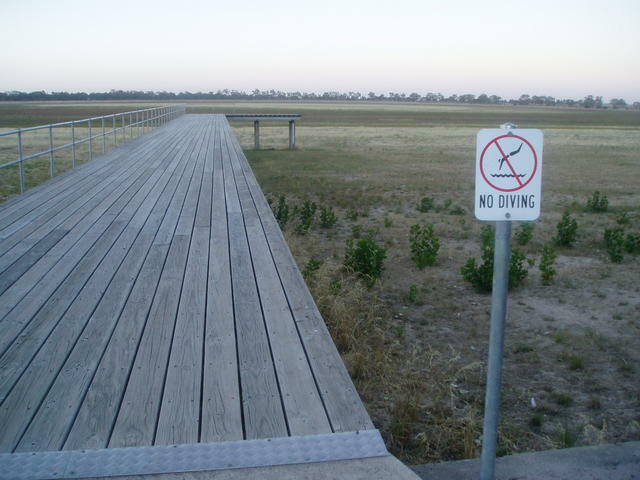 In fact, the lake has been well utilised for a number of agricultural and festival shows over the years - you just can't beat good old Australian ingenuity in the country! Positioned midway, with picturesque and easy driving via the southern entrance from the Glenelg Highway or along the Wimmera Highway, Edenhope caters for Victorian and South Australian travelers very well. 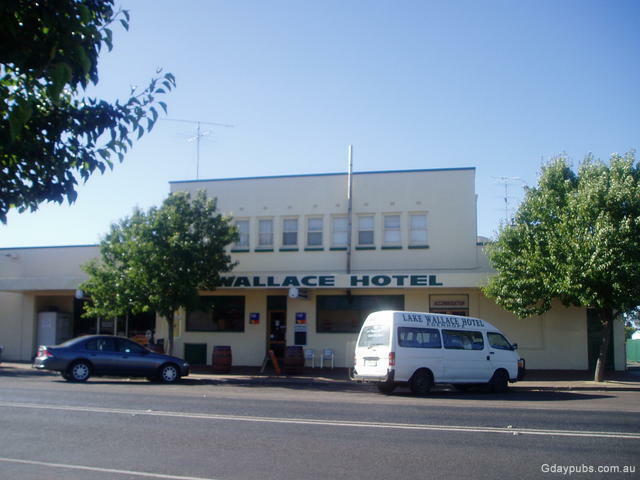 Even those traveling the busy Western Highway will find cutting down along the Wimmera Highway to be a far more pleasant way to explore the surrounding region and to take in all that the town has to offer. The spectacular Grampians mountain ranges lay to its east, and the magnificent Coonawarra wine district to its west, whilst the western extremities of the Great Ocean Road and Discovery Bay are less than a days driive not far to its south via either Casterton or Penola. Close to town, are tourist interests including Warrock Homestead, Bailey's Rocks, Bilston's Tree, and the Naracoorte Caves to name a few. One interesting Pubobilia comment to note, is that Edenhope is the 'Port Capital of Australia". Back in the early 1900's there was more port drunk per capita than any other town in Australia - mostly the red gum loggers! So avoid the trucks and busy highways - take the scenic route along the Wimmera Highway through Edenhope - halfway from Melbourne to Adelaide.